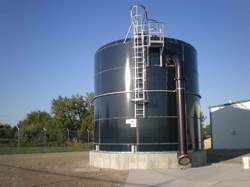 We are one of the renowned manufacturer and exporter of the Industrial Storage Tank. These tanks are mainly used for the storage of water, oil and gas. These are manufactured from the premium quality of raw materials. These are easy for installation. We offer these at the market leading prices.